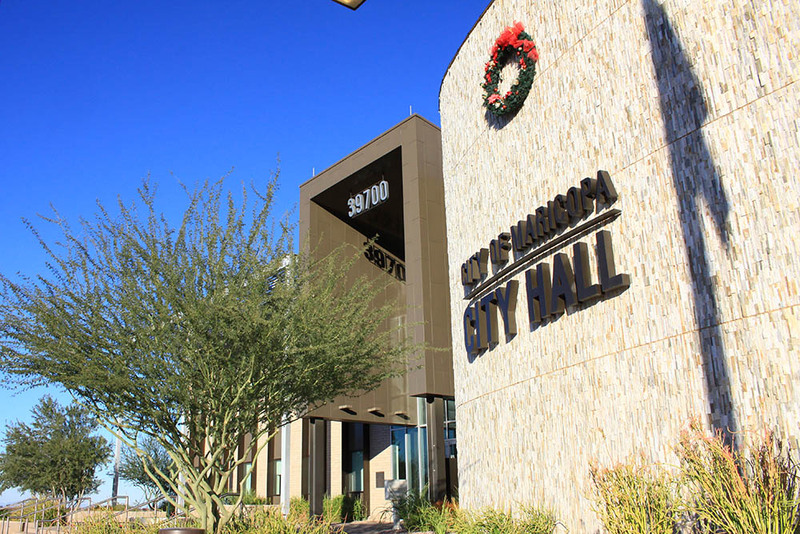 Tuesday evening Rich Vitiello will be sworn in as the newest Maricopa City Councilmember at the city council’s regular meeting, which starts at 7 p.m. Joining Vitiello in the swearing in ceremony will be re-elected council members Vincent Manfredi and Henry Wade. The council will honor Vice Mayor Peg Chapados as she leaves the council. Adam Wolfe, the city public information officer, said there will be a small reception for the council members after they are sworn in. The reception will be in the lobby of City Hall before the meeting is reconvened. “It’s a pretty light agenda this week,” Wolfe said. Besides the onset agenda and some presentations, the council’s agenda is comprised of the rezoning of three tracts of land in the Copper Sky development. While zoning changes might be important, these three changes have little impact on the land, according to Maricopa Senior Planner Rodolfo Lopez. “It’s currently zoned transitional zoning, which is under the old City of Maricopa Zoning Code. We are converting it to our new nomenclature from 2014. In a way it’s apples to apples – so it will be TR zoning to mixed use general zoning. It is just making is right with the current zoning code. There is no proposed development plans at this time. It is a way of prepping the land for potential development. It will make is somewhat shovel-ready,” Lopez said. Lopez said his office has not received any opposition nor support for the proposal.